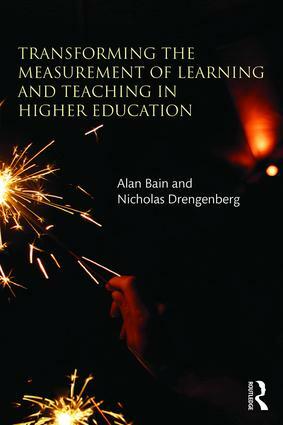 Transforming the Measurement of Learning and Teaching in Higher Education proposes a dynamic new model for educational measurement by reconceptualizing the field of learning analytics. Revolving around the agency and daily work of those in the field, this book describes how colleges and universities can be better structured for quality learning, showcases new tools for gathering emergent feedback, and demonstrates how that feedback can be used effectively across higher education organizations. Leaders and practitioners at all levels are offered new approaches for organizational and technological design that ensure the type of data and the way it is gathered serve the ultimate goal of high quality learning and teaching. Chapter One Is There Learning in Learning Analytics? How is Learning Analytics Done? How Do People Really Use Data? Chapter Nine Where to from Here? Alan Bain is Professor of Innovation in Learning, Teaching, and Technology in the Faculty of Education at Charles Stuart University, Australia. Nicholas Drengenberg is Academic Secretary and Manager in the Office of Academic Governance at Charles Stuart University, Australia.